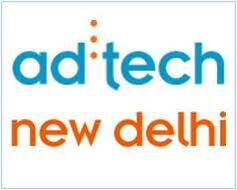 ad:tech New Delhi announced the keynote speakers for its 4th edition of the digital marketing conference and exhibition to be held in Gurgaon. ad:tech is a digital marketing conference and trade show, running in nine cities across the globe. The New Delhi edition of this event is expected to attract over 3000 digital marketers. The 2-day Conference program includes 30+ sessions on topics like Programmatic Buying, Multiscreen Marketing, Data, Remarketing, and so on. More than 80 exhibitors ranging from the leading players to the newest start-ups will showcase the new technology to the marketers helping them become future ready. Being one of the largest digital marketing event, ad:tech offers a great platform for entrepreneurs and other marketing professionals to learn about digital advertising strategy, integrated marketing, social media, search, mobile, analytics and much more. The event has been hosted around the world, including cities such as New York, San Francisco,London, New Delhi, Shanghai, Singapore, Sydney, Melbourne and Tokyo.